Software testing is still the most established and scalable quality-assurance technique in practice. However, generating effective test suites remains computationally expensive, consisting of repetitive reachability analyses for multiple test goals according to a coverage criterion. This situation is even worse when testing entire software product lines, i.e., families of similar program variants, requiring a sufficient coverage of all derivable program variants. Instead of considering every product variant one-by-one, family-based approaches are variability-aware analysis techniques in that they systematically explore similarities among the different variants. Based on this principle, we present a novel approach for automated product-line test-suite generation incorporating extensive reuse of reachability information among test cases derived for different test goals and/or program variants. 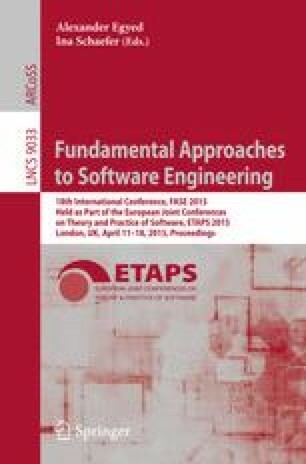 We present a tool implementation on top of CPA/tiger which is based on CPAchecker, and provide evaluation results obtained from various experiments, revealing a considerable increase in efficiency compared to existing techniques.